A moment's silence for the deceased PSP/4GB bundle. It was taken before its time. While Sony saw fit to publicise one bundle's demise, however, a new bundle has arrived on the scene completely unannounced. 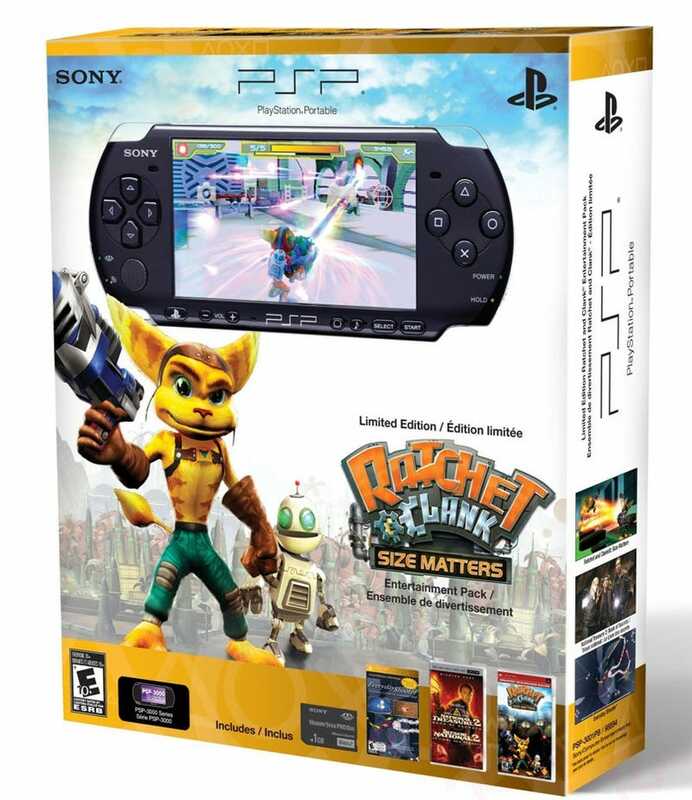 Looking a lot like the PSP/Ratchet & Clank deal from a few months back (because it essentially still is the same deal), this new offer includes a black PSP-3000, instead of a silver one, and includes a voucher for Everyday Shooter instead of a voucher for Echocrome. Everything else - National Treasure, Ratchet & Clank, $199 - remains the same.